Enter your email address below to receive a notification when Beacon Book Box starts accepting new sign-ups! 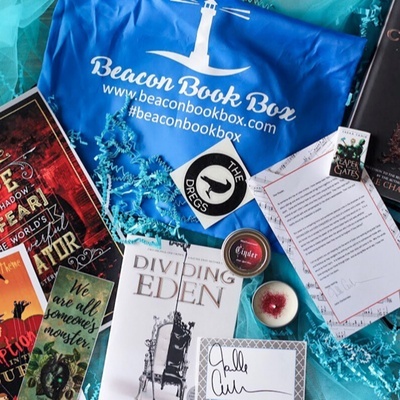 Enter your email address below to receive a notification when Beacon Book Box is accepting new sign-ups again. Want to try a box? Use code WELCOME10 during checkout for a discount! 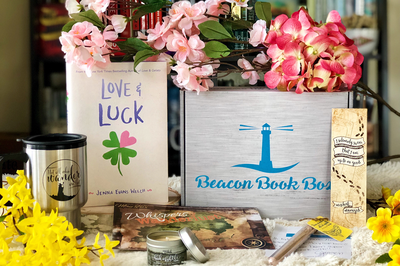 Order by the 10th of the month to get that month's box! We will package and ship your box between the 11th and 15th of every month. 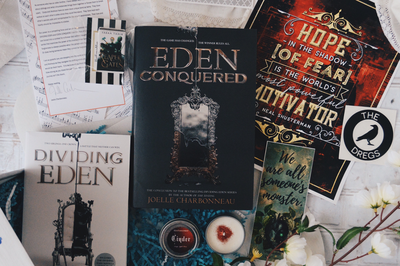 Subscriptions renew on the 21st of the month. Domestic orders usually arrive 2-5 days after shipping while International orders can take 5-21 days. 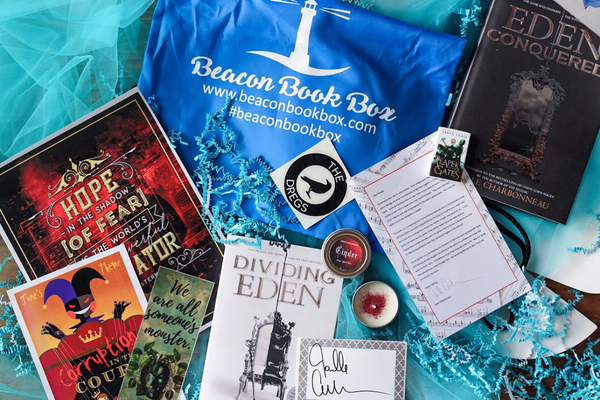 Beacon Book Box: Shining Light on Awesome Reads! 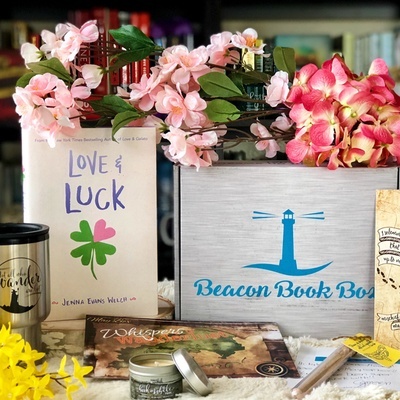 Created by a 14-year-old, Beacon Book Box is a subscription box for anyone who loves Young Adult books! 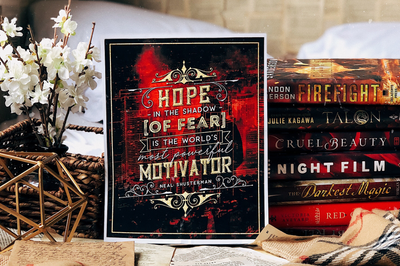 Each of our boxes includes a newly-released hardcover book (usually signed), a booksleeve and 3-5 high quality, fandom-inspired bookish goodies that go with the month's theme. 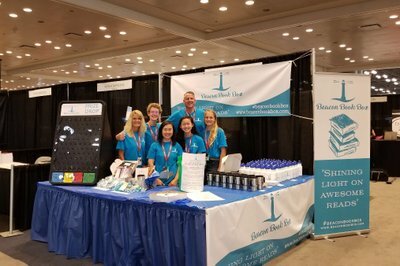 We strive to work with small, family-owned businesses like us! 1 Booksleeve, hand-sewn with gorgeous fabric, to protect your book! 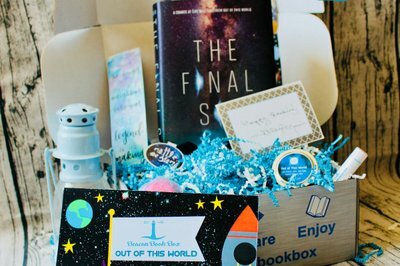 This is my favorite book box for so many reasons. The book is ALWAYS a hit. The items are quality and usable. The family who owns and runs the business are the nicest, most caring people. They genuinely care about their customers and it shows with everything they do. From consistent updates on social media to live Instagram chats (Where they actually interact with everyone) this company is top notch. I have personally been a subscriber since December of 2018 and I have tried many other boxes. While I do continue to get other boxes from time to time, this box is the one that I will never get rid of. 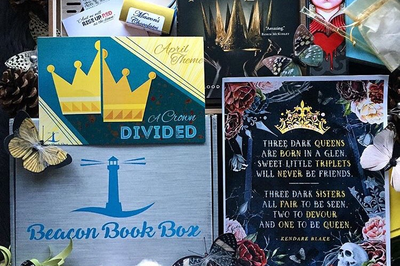 They have subscription or single purchase options, and their special edition boxes are outstanding. 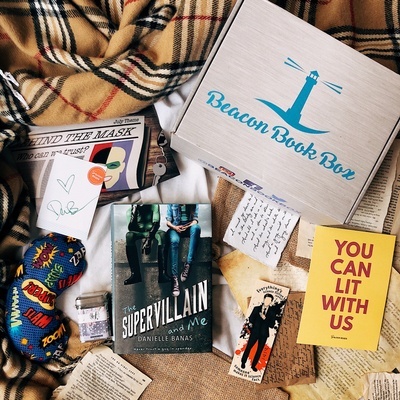 I highly recommend anyone looking for a book subscription box to try Beacon. You will not be disappointed. 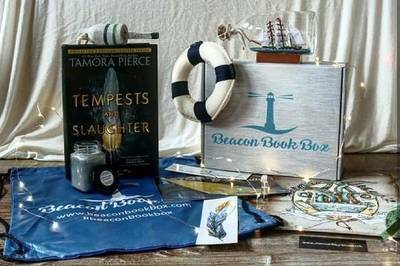 I don't know why it took me so long to order my first Beacon Box! All of the items included were amazing and the community behind it add something special to the whole experience! The book sleeve was perfect! I tend to read thicker books and I was a bit worried that it wouldn't be able to hold it, but IT DID! All of the care and consideration that went into the box is evident in each item! WAY TO GO BEACON! Recieved my first monthly box today, I was more than impressed, especially with the personal note from Cam, it made my day.